How do the Eagles stack up against the Patriots on the big stage? Welcome to this season’s FINAL edition of Crunching The Numbers! For anyone who may not know, this is a weekly series during the regular season in which I compare the Eagles to their upcoming opponent by looking at several selected statistics. To see an explanation of my reasoning behind the statistics I chose, and for an archive of previous posts, check out this hub. To clarify, all of the numbers above represent a team’s last three games. For Philadelphia, this is their two playoff games against the Vikings and Falcons, as well as their meaningless finale against the Cowboys. For New England, this includes three important games, as it covers both their playoff games against the Jaguars and Titans, along with a season finale against the Jets where they were trying to lock up homefield advantage in the playoffs. I found it interesting just how much of an advantage the Eagles seem to have here. Of course, the Super Bowl is an entirely separate entity (and Bill and Tom know how to win it), but the fact that the Patriots have not played as well as the Eagles have against subjectively lesser competition is not insignificant. Couple this with New England actually playing for something in Week 17 while the Eagles rested their starters, and you paint a picture of an Eagles team that has outright dominated its recent competition while the Patriots have been merely playing “good enough to win.” That being said, playing “good enough to win” is, by definition, all that matters in the Super Bowl. The two statistics that jump out to me right away are YPA and OY/PT. Brady has seemingly been in a bit of a funk, as 6.2 YPA is simply not good. I wanted to say that this number is skewed by Jacksonville’s excellent secondary, but he averaged 7.6 YPA against them, which is actually greater than his regular-season mark of 7.4. It turns out this is probably a holdover from the Jets game, where Brady only went 18-of-37 for 190 yards (5.1 YPA). 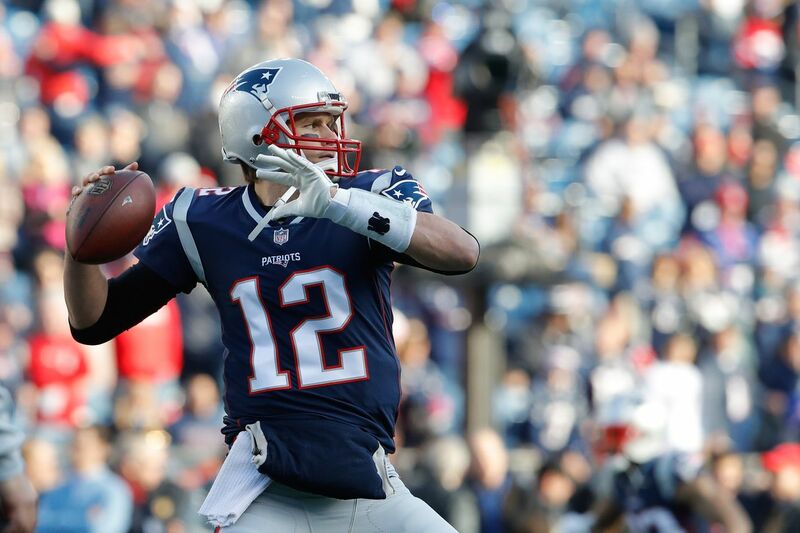 It’s very likely we’ll see a much better performance out of “Tom Terrific” in the Super Bowl. As I’ve said in previous posts, OY/PT has shown to be the “golden statistic” of sorts, proving more prophetic than the others in this table. This is also where the Eagles have their greatest advantage, forcing opponents to drive a ridiculous 40 yards for every point they score over the past three games, almost doubling the Patriots’ effort. I think it is worth mentioning that all of these games were at home, where the defense has played significantly better this season. But the Eagles were also playing decent offenses, as Dallas, Atlanta, and Minnesota finished 2017 with offensive DVOAs of 10, 9, and 5, respectively. If the Eagles can get just 75% of this recent defensive effort in Minneapolis, they have a good a shot as anyone to win this game. But enough high level analysis. Let’s dive into the meat and potatoes of this matchup. Simply put, the key to beating the Patriots - on offense and defense - is the same key to beating any team in the NFL: you need to make them play your style of football. It just so happens that accomplishing this is much more difficult against New England than it is against perhaps any other team in the league. The Eagles can continue this style of offense by establishing the run early. If the coaching staff did any self-scouting over the past two weeks, I’m sure they realized that the Patriots will likely key on the run to force Foles to win the game with his arm. The Eagles would be wise to install a few different diverse packages that can be run from the same formation, so that if the Patriots adjust to shut down one package, it is easy to switch to another. If Philly bullies New England off the line of scrimmage in the run game, they have a good shot to win the game, as this will also open the door for the RPOs that Foles seems to be so comfortable executing. The Patriots have had a middling pass defense this postseason (10.7 OY/CMP), but they will try to force Foles to make a mistake, so the more out of their element they are the better. This is stating the obvious: sustained drives won’t help much if they settle for field goals. The Patriots were textbook “bend but don’t break” this season, but the Eagles were one of the better red zone offenses, even with Foles in the lineup. This will be a classic case of “unstoppable force meets an immovable object,” and if the Eagles allow the Patriots to keep their pace of 22.2 OY/PT, it will be a long night. It might take 28 points for the Eagles to win this game, and if they do it at that pace, they will need 622 yards of offense. This is unheard of in the Super Bowl, much less against New England. Goal-to-go situations will also be an opportunity for the run game to come in handy, as bulldozing your way into the endzone is much easier than trying to navigate traffic in the secondary. While Tom Brady’s YPA might be weighed down by a half-hearted performance against the forever-hapless Jets, the fact that it hasn’t rebounded significantly means that he has played every bit like a mortal during this postseason. This is the message I’m giving to the Eagles’ defense: there’s blood in the water. If Jim Schwartz holds them to the “faceless opponent” standard that Doug preached last week, and they go into this game treating Brady the same as they would C.J. Beathard, then they should be in good shape. Offensively, the Patriots have been humming to start games recently, although this is carried by 21-point performances in the two opening frames of the Jets and Titans games. The Eagles’ defense is more to the caliber of the Jaguars, and they held the Patriots to 10 points through three quarters. New England also traditionally starts slow during Super Bowls, and the defense will need to take advantage of that because the offense might need a possession or two to shake off early-game jitters. Instead of having a “first” plan and a “backup” plan, the Eagles should really consider a “1” and “1a” game plan. The “1” plan would be to play press-man coverage to disrupt timing routes while hoping that the front four gets consistent penetration up the middle. The “1a” plan needs to be there because if this fails, the back end of the defense will be completely exposed and probably burned almost immediately. The moment it becomes clear that this is not working, the Eagles need to change what they’re doing right away. My guess is that this would be zone looks that Schwartz seems to favor, but Brady has had success against this type of defense in the past. Strangely enough, as much as the defensive line has been hyped for this game, this is the side of the ball I am most worried about. Much of the analysis around the internet leading up to the game has pitched a “David and Goliath” narrative for the Eagles, leading off stories with questions such as “Can the Eagles actually beat the Patriots?” While the Patriots are without a doubt the football Goliath of this generation, the numbers suggest the Eagles have been playing as well as any team in the league during the postseason. They’ll need to keep that up on the biggest stage if they want to drag Tom Brady off of his throne and burn it before his very eyes, preferably while eating nightshades. Bring it home for Carson, Hicks, Peters, Chris, and Darren. Hell, bring it home for Sturgis. Bring it home for us tortured, passionate, oft-misunderstood fans. Bring it home for Lukas. ONE GAME IS ALL WE GOT. ONE GAME IS ALL WE NEED.